Being a front-runner in the industry, we are involved in providing our customers highly qualitative Sea Cargo Export Services. These provided services are offered in agreement with the defined guidelines to preserve our standing in the industry. To add, the employees rendering these services are appointed after stern analysis of their skills and experience. 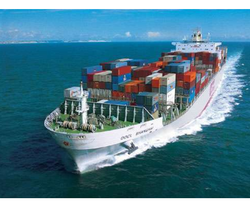 Being one of the best organizations, we are offering Sea Freight Service. Our dedicated team includes follow-up shipper, vessel planning team and team that handle all the documentation. We are rendering Sea Freight And Air Freight Services to our patrons. Due to prompt completion, our offered service is extremely admired in the market. Our service meets on client’s demand. Moreover, we render this service as per patron’s demand. Our service in this area includes Ocean Shipment of the consignments as Full Container Load (FCL) Services or Less Container Load (LCL) Services. We have access to a vast shipping network across the world to assist our clients in their shipping needs through our efficient ocean freight agents as well as the air freight agents. GAC has contracts in place with many of the world’s major ocean carriers in the key trades to/from Asia, USA, Middle East, Europe and Africa. GAC meets all international security standards and is a registered member of governing commissions in all end user markets. LCL Sea freight consolidations are also available. 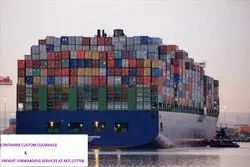 Whether it is large volume cargo to be moved in Full Container Load (FCL) or small shipments to be moved as Loose Container Load (LCL) , we undertake this task to handle your cargo to or from its destination or origin. A reliable range of Sea Freight Services can be obtained from us at incredibly competitive prices. This is the best option for the client whenever the delivery deadlines are tight and challenging. We have an excellent network, through which, we can inform the customer about the status of the cargo even when it is on sea. We are looking for Chennai queries. With a complete range of sea freight services, we leverage volumes smartly to deliver competitive sea transportation globally also we do costal movement between indian ports.